The 69th meeting of the Standing Committee of the Convention on International Trade in Endangered Species of Wild Fauna and Flora (CITES) ended in Geneva today having tackled the largest agenda with the largest number of participants ever. Geneva, 2 December 2017 - The 69th meeting of the Standing Committee of the Convention on International Trade in Endangered Species of Wild Fauna and Flora (CITES) has come to a close in Geneva having tackled the largest agenda with the largest number of participants ever. 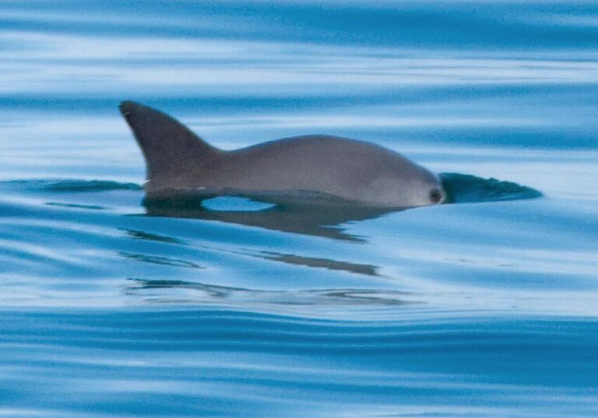 In the final hour of the week-long session, Mexico, China and the United States made a surprise agreement to convene a high-level diplomatic mission to help stop the extinction of the vaquita, the world’s smallest porpoise, commonly referred to as the ‘Panda of the Sea’. The government of Mexico raised the issue noting the severity of the crisis facing vaquitas, and was supported by the United States and China. The high-level mission will support the much needed actions to address the significant challenges faced in ending the illegal totoaba fishing and trafficking. “It’s been said before that it’s the eleventh hour to save the vaquita: there are fewer than thirty individuals remaining and illegal fishing of totoaba is driving this elusive porpoise to extinction. WWF works with Mexico, as well as the US and China, to implement urgent measures to save the vaquita, and to secure a gillnet-free Upper Gulf of California that supports both their survival and the livelihoods of local communities. The CITES meeting also discussed other pressing wildlife trade issues impacting some of the planet’s most endangered species. The Committee sent a strong message to Lao PDR on a number of issues including tiger farms, Siamese rosewood, legislation and enforcement, and widespread illegal wildlife markets. Laos has to submit a detailed and time-bound plan of action by the end of the year, and a progress report by end of June 2018. Failure to submit the implementation plan or to demonstrate adequate progress could result in sanctions against the country. Regarding pangolins, the Secretariat interpreted the provisions of the Convention to allow commercial trade in pangolin stocks acquired before the trade ban came into force in January 2017, but this view was rejected by majority vote. The Committee also struggled to agree on robust recommendations on the issue of Madagascar’s ebonies, rosewoods and palisanders. Madagascar was seeking leave to sell its stockpiles of these valuable timbers, despite the fact that none of these stocks have been audited to date and that there is large-scale illegal trade. Fortunately this request was rejected. The impact of wildlife crime can be devastating for nature and communities as the illegal ivory trade has shown. The Committee specifically debated the situation regarding countries implicated in illegal ivory trade. On other matters, Japan failed to persuade the Committee that its hunting of Sei whales in international waters – the meat of which is sold in Japanese markets - is primarily for scientific purposes end eligible for exemption from normal CITES rules. This parallels the very long debate that has gone unresolved in at the International Whaling Commission and in the International Court of Justice over Japan’s controversial “scientific” whaling. The Secretariat will seek to visit Japan and a final decision will be taken at the next meeting of the Standing Committee in October 2018. WWF is one of the world’s largest and most respected independent conservation organizations, with over 5 million supporters and a global network active in over 100 countries. WWF's mission is to stop the degradation of the Earth's natural environment and to build a future in which humans live in harmony with nature, by conserving the world's biological diversity, ensuring that the use of renewable natural resources is sustainable, and promoting the reduction of pollution and wasteful consumption. Visit www.panda.org/news for latest news and media resources and follow us on Twitter @WWF_media.